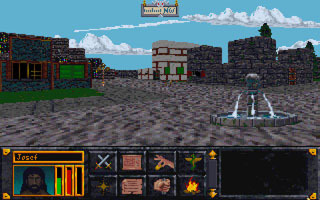 ArenaSetup was done for install a ready to play Arena easily on modern Windows Systems. 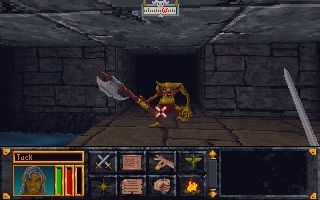 The game is version 1.07 (CD Version) and work with a already configured DosBox. (See detail). 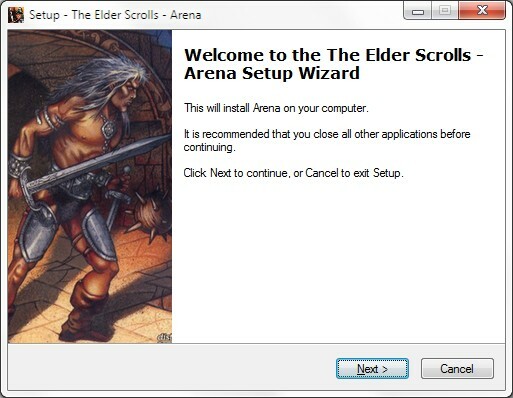 Like any Windows Setup, you can install Arena anywhere on your computer. The setup can add a shortcut on your desktop, a folder in your start menu and a quick launch icon. Off course, you can uninstall Arena as easily as you can install it. After the character generation, when you are in the donjon, don't forget to type Escape and set Details to maximum. Each component can be selected or not individually. Official component must be installed. DOSBox is version 0.74. The Setup was done with Inno Setup 5.5.6. All components are listed with the name of originals autors. Thanks for their work. The Projet French Arena 0.15-05-14 started by Arkem : French translation. US Keyboard Configuration (QWERTY) by default. 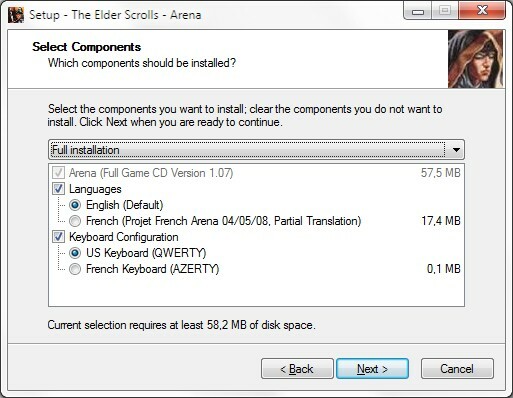 Note : For uninstall only one component, don't uninstall totaly Arena : Run ArenaSetup and select your new configuration. Open the DosBox.conf file with a text editor and change fullscreen=true for fullscreen=false. When you are playing, you can change screen mode with ALT + ENTER. Search the line output=Surface and replace surface with ddraw, opengl or openglnb. Search the line fullresolution=original and replace original with your screen resolution (1024x768 by example). Search the line scaler=normal2x and replace normal2x with normal3x, advmame2x, advmame3x, hq2x, hq3x, 2xsai, super2xsai, supereagle, advinterp2x, advinterp3x, tv2x, tv3x, rgb2x, rgb3x, scan2x or scan3x (You can see examples here). If you are stuck on the main menu after the introduction video, type ALT + ENTER for go in Windowed mode and ALT + ENTER again for return to fullscreen mode. If you skip the introduction video, you will not have this problem. 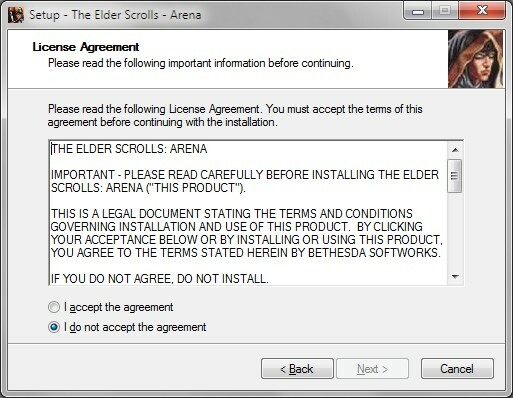 "C:\Users\Your username\AppData\Local\VirtualStore\Program Files (x86)\Bethesda Softworks\Arena\"
A dedicate ArenaSetup Forum is at your disposal. If you have a bug or any problem, please report it. I'll try to fix them. I am always seaching for new bug fixes and translations for this project. Please, tell me if know any fix/Translation project. Dernière modification de cette page le 4 juin 2017, à 10:43.